The photograph is a still from ‘Teachers at Work’, a video which accompanies the 2015 (fifth) edition of The Practice of English Language Teaching. We filmed primary, secondary, tertiary and adult classes in Mexico, Turkey and the UK. ‘PELT’ was first published in 1983. That first edition was written while I was involved in teacher training in Mexico. It came about because on returning to that country after completing an MA in Applied Linguistics my brain was so addled with undigested applied linguistics that my trainees couldn’t understand anything I said. But they could understand the written notes I gave them after my mixed-up input sessions! Those notes became the first edition of the book. In 32 years the book has become something of a standard and because of this it has become absolutely necessary to update/upgrade it over the years (1991, 2001, 2007, 2015). Speaking personally it has been a kind of self-willed CPD (continuing professional development). And for that I will be forever grateful. Thank you Longman, thank you Pearson! 1 The world off English and English language teaching has changed out of all recognition. Well in the first place, speakers of English as a second or additional language outnumber first-language speakers (‘native speakers’) but a factor of maybe 2:1 (Rajagapolan) 4:1 (Crystal) or 5:1 (Graddol). Which means that the varieties of properly functioning English that are spoken have multiplied enormously. Furthermore the majority of English-language conversations in the world take place between people, neither of whom have English as a first language. And so all the discussions about what variety to teach, about, for example, ELF (or English as an international language) are absolutely vital – and the raise concerns about the meaning of accuracy as Scott Thornbury articulated so well recently. Add to that the prevalence of non-native speaker teachers (or ‘multilinguals’ as Suresh Canagarajah would like such people to be called), and it is clear that the old ‘learn-to-speak-English-like-a-native’ trope of the middle of the twentieth century is long long gone. 3 And leading on from that, are any materials necessary? What ARE the best ways to learn a language? Is the mind a computer (e.g. Chomsky, Krashen etc)? Does explicit knowledge about language help learners? Is communication the key – is interactive group work the way forward? Is dialogue necessary for learning to take place (pace Dogme or unplugged teaching)? And what about CLIL (content and language integrated learning? * the whole learning styles discussion has been enlivened by people who question its lack of evidence base. But what do YOU think are the pressing issues for language teaching today? Method talk #1: how helpful is research? 1 How helpful is research? It would be extremely useful if we could simply read some research and know, as a result of it, how to teach and what methods would be most useful. We might then be able to say with conviction that method A is a better way of teaching than method B or that Technique C works but technique D doesn’t – and so on. But of course it’s not that easy. For as Patsy Lightbown and Nina Spada point out “All of the theories…….use metaphors to represent something that cannot be observed directly.” (Lightbown and Spada 2013:120). We can not ‘see’ learning and so we try to find metaphorical ‘parallels’ to explain what we think is happening. The problem, of course, is that theorists don’t necessarily agree, whether their insights come from classroom research or from profound beliefs about what is going on. 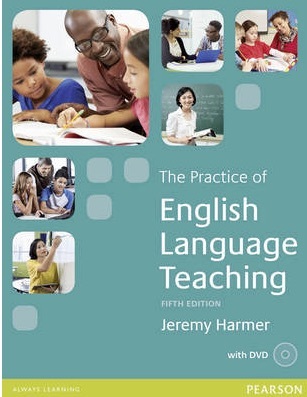 As a result “Educators who are hoping that language acquisition theories will give them insight into language teaching practice are often frustrated by the lack of agreement among the ‘experts’. (Lightbown and Spada op.cit:121). “There is,” writes Rod Ellis, “considerable controversy.” (Ellis 2014:32) In particular there seems to be little agreement in SLA research about the exact usefulness of focused instruction or even about whether corrective feedback works or not. What should teachers do with the differing accounts of learning success that research offers them? One possibility is just to ignore it completely and go on teaching as before. However, that would be unfair not only on students who might not always respond to ‘as before’ teaching, but also on teachers themselves who benefit hugely from constant questioning and investigation about what they do. Furthermore, the constant demands of in-the-classroom teaching sometimes mean that we just don’t have space to think about what we are doing as much as we would like. Researchers, however, do exactly the kind of thinking that teachers would do if they had more time. And each account of the research they do is like another piece of some vast pedagogical jigsaw. Sometimes the pieces don’t fit, sometimes they do. But the thinking they provoke is the life-blood of the inquisitive and enquiring teacher. This does not suggest that teachers should read theory uncritically, nor that theory should necessarily dominate teacher thinking. As we shall see, the ability to assess what theorists tell us is a vital teacher skill. But we might go further too and say that research that is divorced from teacher reality is not very useful. Indeed the kind of Action Research that teachers do is, in many ways, just as important as the (sometimes) more cerebral research carried on by SLA theorists. In an ideal world, therefore, there would be satisfying two-way channels of investigation between teachers and researchers so that what teachers have to say is valued as much as what researchers are trying to tell them. I was reading the Guardian yesterday and came across a short interview with the singer Sheryl Crow during which she responded to the question ‘what have you sacrificed for your art?’ with the answer “my love life. I think whatever you give your attention to is what thrives.” And this chimed in with a topic I’ve been working with for some time, namely what I have called ‘the force of focus’ (in contrast to multi-tasking, for example). And today, once again, I have been working with teachers in Antwerp (Belgium), trying to pin down what students should give their attention to and how to make sure it has an impact. But before we go on, and in case you haven’t listened to Sheryl Crow before, here she is singing an old (but to my mind beautiful) song called ‘The first cut is the deepest’. What then are the best ways of getting students to direct attention? Do ‘old’ techniques such as PPP (presentation, practice, production) do the trick? Or do we need more ‘heart’ involved? More creativity perhaps? More personal involvement? But if we have real buy-in (emotionally) might that distract our students from the attention that they should be giving to language analysis (that’s what Sheryl Crow, the other way round, seems to be suggesting!) If, for example, we have students involved in communicative activities, all fired up with tasks etc, then the attention they should be giving to exactly how the language works may be diverted elsewhere. And one last crack at this conundrum. In his 2013 book ‘Focus: the Hidden Driver of Excellence’ (Bloomsbury), Daniel Goldman quotes Albert Einstein who said that “The intuitive mind is a sacred gift and the rational mind is its faithful student. We have created a society that honours the servant and has forgotten the gift.” I have been pondering this for days now. Because the challenge is how to get students to use their rational mind when analysing language (that’s the focusing part, and the attention that may help their language learning thrive) whilst at the same time using their sacred gifts – because surely that’s a good idea too, isn’t it? How on earth do you do that? Would you like to be a ghostwriter? I wonder if you have seen the Roman Polanksi movie The Ghostwriter, or read the novel The Ghost by Robert Harris that it is based on. The premise of the film and novel is that the central character is hired to ‘ghost’ the autobiography of a past unpleasant and venal British prime minister (not unlike – though the author unconvincingly denied it – Tony Blair). By ghost we mean, of course, that a professional writer interviews his or her subjects and then crafts their words into a book so that their name (not the ghostwriter’s) appears on the books covers. If you haven’t seen the film, here is the trailer for it. Of course lots of skulduggery (‘secretly dishonest or illegal activity – also used humorously’ according to the Longman Dictionary of Contemporary English) take place in the book and the film, but ghostwriting itself is widely practised. Most of the politicians’ and sportspeople’s autobiographies you have read are ghosted. As Ewan McGregor says to the ex-prime minister “I interview you and turn your answers into prose”. Might ghostwriting be a nice way of approaching storytelling and storywriting for upper intermediate/advanced students (or for that matter any level students)? I think/thought so, and used it in my demonstration ‘lesson’ at IATEFL Poland in Łodz two days ago. But like all teachers’ (my?) ideas it hangs on a filigree thread of plausibility! Even if it is a good idea it’s probably been done by millions of others before me, anyway. Whatever. I tried a number of things with my ‘class’: for example (after they had watched the film trailer) I got my ‘students’ to watch a teacher telling a classroom story. Then they had to think of all the ‘ghostwriter’ follow-up questions they could have asked her to learn more about the incident and, perhaps as a result, make her story even more dramatic. We then thought of other ways she could have introduced her anecdote/story. After that we talked about getting students to research some of the vocabulary (collocations, chunks etc) of key concepts of the story so that they could use them and thus ‘bump up’ the story’s impact. My ‘students’ told each other stories and were then interviewed in more depth about them, and then the ‘ghostwriters’ had to turn what they had heard (those stories) into 1st person narratives – as if it was their story (that’s exactly what a ghostwriter does). My ‘students’ also looked at a faithful transcript of the anecdote they had heard/watched and talked about how to turn it into elegant written prose – and we discussed how this transcription and tidying up can be a useful way of analysing language and language use. I said I’d write a blog about it so that they could post any of their ghostwritten stories if they wanted. They/you probably won’t! But you (dear reader) could always post your own ghostwritten paragraph or two if you felt like it. In other words, how could YOU best tell somoene else’s story? But what do you think of ghostwriting? After all we all tell stories all of the time, and everyone has stories to tell. Might this be a way of getting really good narrative-writing results. Is it an effective way of having students analyse language (see transcription above). Is this better than teaching students stuff? Should students be given good models of ghostwritten narratives to look at first (as someone in Łodz suggested)? And anyway, how DO you get advanced students to write, and is narrative a useful or important genre anyway? Something big in Uruguay – how do YOU react? Something big is happening in the small country of Uruguay (with a population of approximately 3.5 million, it comes in at number 134 in comparison with other countries – remember, China has 1.3 billion inhabitants!) But Uruguay has always ‘punched above its weight’ – think football, music etc, and in the world of English language teaching, it’s doing it again. Many of you will know about OLPC (one laptop per child) in which the government (backed with large charitable dontations) has given every child in the country a free little laptop which is hooked up (for free) to broadband all over the country. The heartwarming intention behind this initiative is to remove, at a stroke, inequality of access to information; to ensure that no child – even those from less economically prosperous rural areas – is left behind in the modern world. I have blogged about this before. Now, under the Plan Ceibal, English teaching has taken an extra leap with the provision of ‘distance teachers’ who teach English remotely, their faces appearing on big screens at the front of the classroom as they interact with children in rural schools. The distance teachers may be sitting in Montevideo, Bogota, Buenos Aires or the Philippines, but for the children there they are there, right in their classrooms. There’s another crucial feature of this Plan Ceibal – Inglés; the distance teachers interact with the classroom teacher who is right there in the room – but really there! And the special thing about her (or him) is that she probably doesn’t speak much – or any – English. So the classroom teacher is learning English along with the children. A win-win situation (you can watch a video clip about it here)! I had the privilege of attending a Plan Ceibal lesson when I was in Uruguay a week ago – that’s where the photos in this blogpost come from. I loved the charisma of the onscreen distance teacher and the engaged and engaging participation of the classroom teacher. The children were lovely and eager and everything seemed fine. I had a great time sitting in that room, and I admired both professionals doing their very best in a new and exciting environment. I should say that the children receive a distance (big screen) lesson once a week and then the classroom teacher follows it up with two more English lessons. The English lessons in Plan Ceibal look (as far as I can see) pretty much like most Young Learner English lessons. They include monsters and songs, basic grammatical patterns, the sort of vocabulary you’ll find in most general English coursebooks, and scripts (with quite a lot of Spanish thrown in) to guide the distance teacher. I want to be very clear here! I admire hugely the ambition, the sheer scale of what is being attempted – bringing English (and world-beating technology) to places which have, up until now, had neither. What a fantastic project. 1 What kind of content should children be offered in the kind of scenario I have outlined? Is the replication of a ‘normal’ face-to-face based grammar-based syllabus enough? Or does this amazing context (distance teacher + classroom teacher) actually call for something entirely different (precisely because it IS different!)? For example, would a CLIL-type syllabus – marrying both teachers’ distinct strengths – be more appropriate? 2 How do you manage a class remotely? Distance teachers in the Uruguayan programme do a training course which offers them management hints and tips, but/and everything depends on the relationship between the distance teacher and the classroom teacher. Is there/could there be a special set of management ‘protocols’ that are especially appropriate for this kind of situation? What is the best way to use this technology in terms of classroom behaviours? 3 What could (or should) be the role of this technology? Is it best used by having a teacher being beamed in like some kind of ‘Deus ex machina’ (quite literally in this case)? Or is there some other special way of using this amazing – and very expensive – technology? 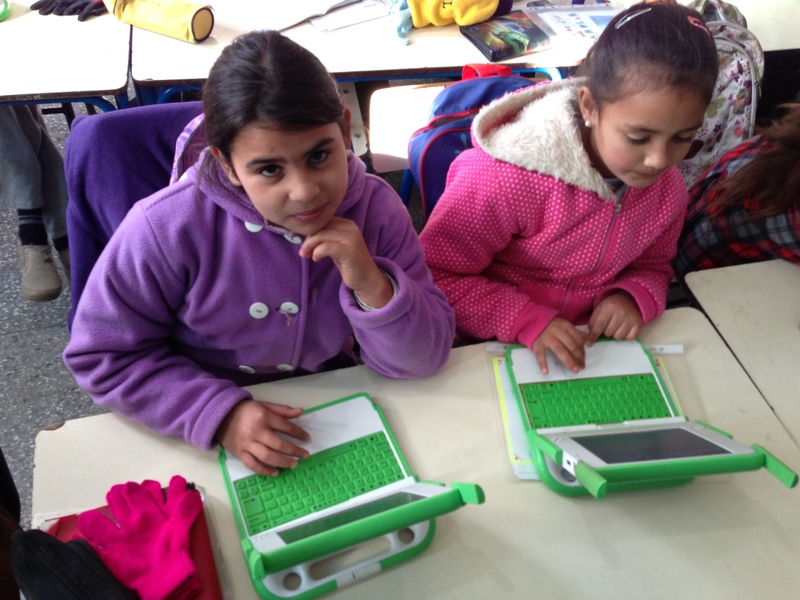 Sugata Mitra, for example, talks about SOLEs (self organized learning environments) in his technological evngelising. Is that a better model than (sometimes) wall-based transmission teaching? Or is that asking too much for the context I have described? So many questions. I’m a ‘new boy’ to all this; many people have thought a lot longer and harder about it than I have. But still I can’t help asking the questions! 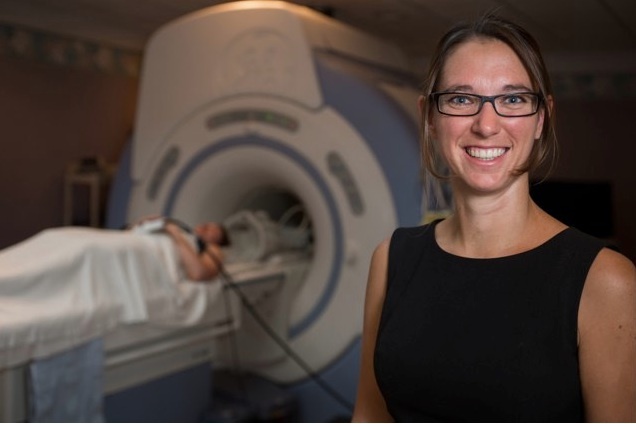 Does reading (and learning a language) require two brains? I love it when a coincidence of listening and reading suddenly starts you thinking; when things kind of come together and actually wake your interest and amaze you (you =me, obviously) all over again with their timeless mystery. What am I talking about? Well a coincidence last week really heightened my interest in an ‘old’ topic. To explain….I was listening the other day (by chance) to a programme called Open Book, and one of the interviewees was a woman called Natalie Phillips (see picture below), a cognitive psychologist who has recently done some research in which subjects were sent through MRI brain scanners whilst reading extracts from Jane Austen’s Mansfield Park. My curiosity was aroused because in this 200th anniversary year for Austen’s Pride and Prejudice I have re-read that novel and have enjoyed thinking (for the first time in ages) about the world Jane Austen portrays. But it was what Phillips says happened in that MRI scanner that really got me going. If I understand it correctly, it goes like this: when her subjects were reading Mansfield Park for pleasure the scanner showed a rush of blood to a certain part of the brain. But when, later, they were shown an extract from the novel which they were asked to analyse (= study/concentrate on), the blood flow increased dramatically – and went to a different part of the same brains. In other words, reading for pleasure and concentrated reading seem (in her research) to be different processes. That’s what I heard her say on the radio – and that is what is also reported here and here. And this line of thinking coincided, for me, on the same day, with reading David R Hill’s survey review of graded readers in the ELT Journal (Hill, D 2013). Before you read it I need to say that personally I am a huge fan of extensive reading using ‘graded readers’, and have always advocated their use because the more students of a foreign language read in that language, the better they get. (I should disclose that I am hosting the Extensive Reading Foundation awards at IATEL 2013 in Liverpool, so you can see that I mean what I say!). …….there is tacit support for reading for pleasure and most enthusiasts use this argument to promote ER (extensive reading). I have come to believe this is unfortunate for five reasons. One, most students find reading in a foreign language difficult and not at all pleasurable, certainly at first. Two, students can obtain pleasure more easily in many other ways (mostly related to a screen). Three, aspiring students (and parents) expect to work and not to have fun while they are at school. Four, when entertainment is the foremost reason for reading, publishers, teachers, and students have no focus for selecting titles. Finally, and most important, promoting ER as reading for pleasure almost guarantees its status as an optional extra on a par with a keep-fit class. So, two brains? No of course not. But two different processes (as Phillips’ research seems to suggest). Acquisition vs learning anyone? That would certainly make us all think again. And IF there really ARE two different processes going on, then is that ‘learning mode’ actually better for us when we read and/or study? Better than, say absorbing language for and through pleasure? That perhaps is the question Scott Thornbury was asking some years ago in a talk called ‘No pain, no gain’, a threnody that has been picked up in a somewhat ramshackle way (it seems to me) by Jim Scrivener and Adrian Underhill. In passing I think they may be mixing cause and effect, and I wish there was more reading/research behind their claims, but still…..
Well yes. And no. Because the discussion about the different processes of the brain, and the way that different activities stimulate different parts of it – something that Stephen Krashen talked about and which, though he may have got it wrong in many people’s eyes, still seems to me to be an ongoing and engaging issue – is brought into sharp focus yet again (in at least one part of my brain) by what I saw and heard last week. Superannuated? Probably. I am, anyway, even if the arguments aren’t!! Multi-tasking, unitasking, myths – and language learning? Earlier today I found myself listening to Shaun Wilden talking at the IHWO online conference at the same time as I was trying to create a handwritten sample for a new book of mine. The news was on too, and I was also tweeting about the conference and other things. I was MULTI-TASKING! The thing is, I wasn’t doing any of it very well or very efficiently. I could have finished the handwriting in half the time; I could have engaged with Shaun’s fabulous presentation more avidly, and even my tweets seemed a bit ragged – and I’ve forgotten what the news was about. And it got me to wondering about stuff. For example, the tech educators say that because kids multi-task all the time (they have endless computer windows and apps running at the same time – well actually so do us older digital residents, but that’s another matter), we, the teachers should join them and harness this because otherwise we’re ‘past it’, and not dealing with their (the kids’) reality. a We don’t really multi-task anyway. We skip from one task to the next and back again. b The more tasks we are skipping backwards and forwards from, the less ‘good’ we are at each individual task. We may think we are being creative but actually we aren’t. c We should re-train outselves as unitaskers – because our on-task work will not be degraded by the brain-time we are giving to other tasks. This reminds me of a quote from Rodney Batstone which I included in my last methodology book. It goes like this: do tasks which require simultaneous processing of form and meaning ‘overload the learners’s system, leading to less intake rather than more’? (That was in the ‘Key concepts’ section of ELT Journal 50/3, 1996). It’s a profound question, and one which I am wrestling with right now. Perhaps if – following Turkle’s line of argument – language learning is focused, uni-directional and uncluttered, then it will be more successful. Perhaps by restricting the input we would give them a better start, a better chance – and perhaps many of the more exciting and excitable activities that we all love so much may actually get in the way. 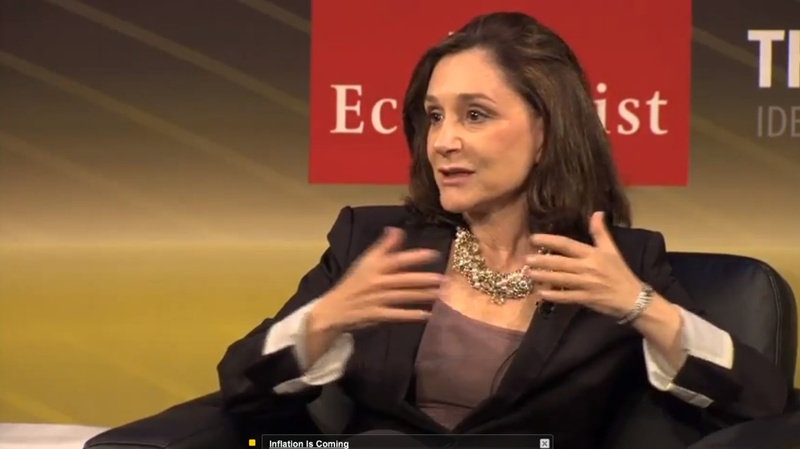 if Sherry Turkle is right about multi-tasking, then maybe we should simplify things down? Back to substitution dialogues? Restrict rather than amplify? Get kids on-task, one task at a time. Only one. Yes, I know my questions are naive. But sometimes those questions work. I would really love to hear what you think about all this. I need some thinking-direction!